If you have a tile roof and you look at the ridgecaps, chances are you will see cracks in the pointing (Unless it has been repointed in the last 7 years and was done with flexipoint.) 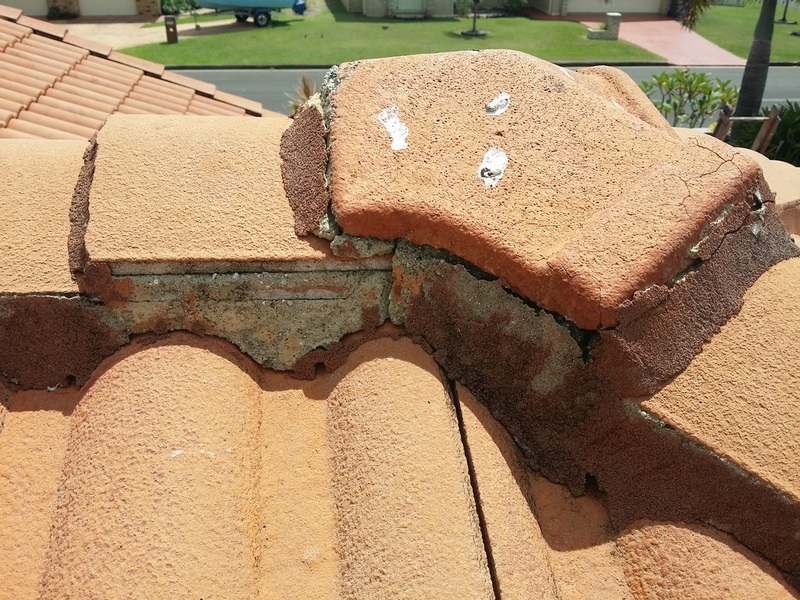 This is pretty common on most roofs and a small crack here and there may not be so bad right now, but sooner or later it's going to get worse which leads to bigger problems that will cost a lot more. We use a product called flexipoint which does not crack. This pic shows that the pointing is almost completely gone in some areas,you can see the bedding underneath is beginning to crack, and this is getting close to needing a rebed, and repoint. This is why it's good to have your roof done sooner rather then later. 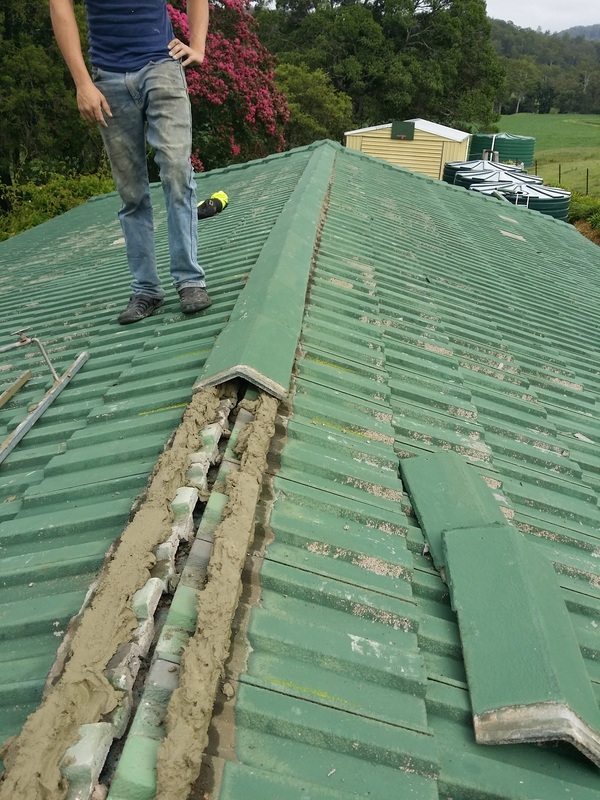 This process is called rebedding, it involves removing all ridgecaps and old cracked bedding. This roof was in bad shape, the pointing was completely gone, and bedding was all cracked with parts falling out and sliding down the roof and blocking the gutters. This is what happens when your cracked ridge cap pointing is left to long, but it can still be fixed. This roof has been repointed with flexi point. It's nice and neat and that's how we do all our repointing. This roof was painted charcoal after it was repointed. 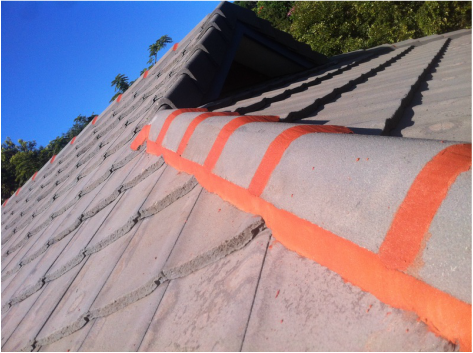 If you wish to have a roof just repointed and not painted, we can get flexipoint in a colour to match your tiles.